The PEI Island Trails Inc. sent the following letter to the Minister Responsible for Canada Lands. We thank this organization for its support and look forward to posting the response it receives from Lawrence Cannon. Prince Edward Island Trails Inc. wishes to inform you that our organization fully supports the aims and objectives of the Upton Farm Preservation Network. Island Trails Inc. was incorporated in 1990 with the stated aim, inter alia, to provide leadership in encouraging the designation and development of a network of recreational trails throughout Prince Edward Island. 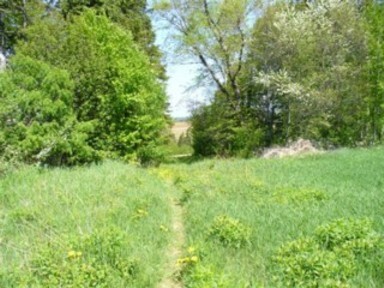 Although not specifically stated, the preservation and development of unique land spaces, especially those having a significant historical aspect, is part and parcel of the mandate of Island Trails. The lands in question, beyond a doubt, meet the criteria for preservation as green space for present and future generations of Islanders. The argument for development fails the test in many respects. There is no demonstrated shortage of developmental land within the boundaries of Charlottetown. There are presently 200-plus serviced lots available for building in the immediate area of the Upton Farm property. Again, shortage of development opportunities is not a legitimate argument for allowing development on this magnificent acreage. As the Upton Farm property is publicly owned, a marvelous opportunity exists to protect and enhance this property as an enivironmentally friendly example for all to see and enjoy. Mr. Minister, we respectfully request and urge you to preserve and protect this resource as an urban forest green space in step with your government’s emphasis on environmental enhancement wherever possible and practical. We submit that the Upton Farm property meets this test. Thank you for your anticipated favourable attention to this submission. This entry was posted on July 11, 2007 at 10:11 am and is filed under Letters of Support. You can follow any responses to this entry through the RSS 2.0 feed. You can leave a response, or trackback from your own site.